2019 is the year of the smallsat. Of course, 2018 was also the year of the smallsat. As was 2017 and 2016. The most common occurrence in the smallsat business is that schedules always shift to the right. Historically, there are several reasons that contribute to this schedule shift. Many of the companies pursuing smallsat applications are developing constellation strategies. These constellations consist of tens to thousands of satellites. The development of technology demonstrators and of the full constellation requires substantial capital that is often difficult to raise. There was substantial movement on the financing front for constellation projects in 2018. Beyond some of the larger planned constellations such as OneWeb and Starlink that have previously announced funding, smaller constellations have announced successful deployment of demonstration satellites and capital raises. Cloud Constellation Corporation capped off 2018 funding announcements with a $100 million capital raise for space-based data centers, showing there is an appetite in venture capital, not only for existing space based applications, but for the unique applications that have not yet been implemented. In all, closings of many hundreds of millions of dollars were announced for new Smallsat constellations in 2018 alone. In additional to financing, the December 2018 SpaceFlight’s SSO-A SpaceX mission could prove to be a pivotal milestone for the smallsat industry. Years of planning went into making that mission a success. ICEYE, Novawurks, Planet and Swarm, many companies were able to prove out critical technologies, add to existing networks and, in some cases, trigger additional financing. 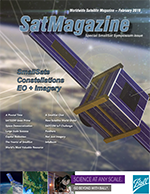 Beyond development of satellite technology, one of the primary concerns funding sources express to new entrants in the smallsat industry is that, aside from proving their technology, they must also show a path to space. A completely developed and manufactured smallsat sitting on a shelf does not generate revenue. As most of the smallsat constellations being developed are in the under 300 kg. category, they are relegated to secondary payloads on large launch vehicles. Schedule and orbit are determined by the primary cargo and slips in the primary cargo schedule can have devastating effects on secondary payloads. A company that raises money to launch a technology demonstrator where additional funding will be released after the technology is proven would be exposed to substantial risk is the primary payload falls six months to a year behind schedule, as often happens with large satellite development efforts. Companies that have developing smallsat business cases must demonstrate access to economical, affordable launch services. As of last year, a Northrop Grumman survey indicated that there are more than 100 companies pursuing small launch options to service smallsats. Most of those companies will not make it to space, as the technical and financial hurdles that smallsat launchers must overcome provide a very high barrier to entry. Despite those barriers, it is expected that several smallsat launcher companies will soon be available to provide launch services to the burgeoning smallsat industry. Rocket Lab successfully executed three launches in 2018. Virgin Orbit has indicated they are preparing for their first launch in early 2019 and several other companies, including Firefly Aerospace, have announced an intention for an initial launch in 2019. Once several of the proposed small launchers demonstrate consistent cadence at an economical price, additional smallsat business cases will begin to close and a rapid expansion of viable smallsat businesses will occur. Figure 1. Firefly Vehicles Overview. The Firefly Aerospace vehicle family is a primary path for this acceleration of the smallsat industry. The Firefly Alpha launch vehicle will accommodate 1000 kg. of payload to a 200 km. Low Earth Orbit (LEO) and 630 kg. of payload to a 500 km. Sun Synchronous Orbit (SSO). The SSO orbit is one the critical destinations for the smallsat industry and is currently underserved for dedicated launches. Alpha is the largest American smallsat launch vehicle expected to be in service by the end of 2019 and no competing vehicles with a similar payload capacity are expected to be in service until at least 2021. 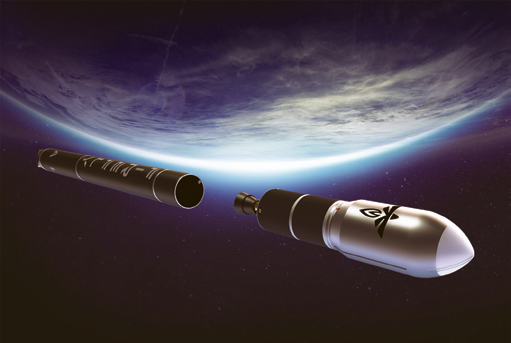 Surveys of potential customers have indicated the 1 metric ton capacity of the Alpha is in the “Goldilocks” range of dedicated smallsat launchers. 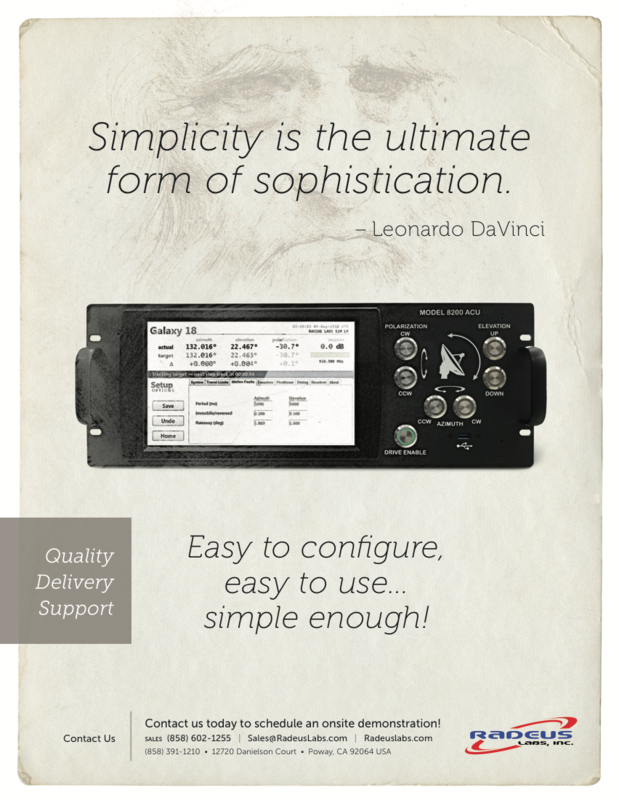 It is large enough to deploy multiple 125 kg. class satellites so that planes of smallsat constellations can be easily deployed and small enough that aggregators can manifest entire vehicles consisting of combination of microsatellites and CubeSats. The Firefly launch vehicle family will be expanded with the Firefly Beta by mid-2021. Beta is a four metric ton launch vehicle that will be the only “Constellation Class” smallsat launcher available domestically. Beta will directly compete with the Indian Space Research Organisation (ISRO) PSLV launch vehicle in both price and payload capacity. The technology for the Beta will be heavily derived from flight heritage Alpha technology, using substantially the same engines, structures and avionics. This will allow for rapid development of the Beta vehicle once the Alpha successfully launches. The Beta will also allow for missions beyond LEO. Firefly was recently selected by NASA as one of the nine companies that will compete to deliver payload to the surface of the moon. NASA expects to spend over $2.6 billion dollars over the next decade on CLPS science missions. By providing an integrated offering that includes a launch vehicle and lunar lander, Firefly will allow companies that are developing lunar payloads schedule assurance and consistently available launch slots, which will rapidly accelerate the nascent small lunar science industry. Firefly continues to show schedule credibility by consistently hitting major announced schedule milestone. Commencing stage qualification testing was one of Firefly’s primary goals for 2018, which was successfully achieved. The integrated stage testing includes flight-configuration propulsion, structures and tankage, pressurization and propellant management systems, and avionics. The stage operates autonomously, controlled by Firefly-developed flight software. These tests also demonstrated full activation of Firefly’s large-scale vertical test stand, “TS2,” at Firefly’s Briggs, Texas, test facility. In 2019 Firefly will continue qualification testing of both the first and second stages of Alpha and begin flight acceptance testing in May, supporting the company’s goal of a December 2019 first launch from Vandenberg Air Force Base Space Launch Complex 2-West. 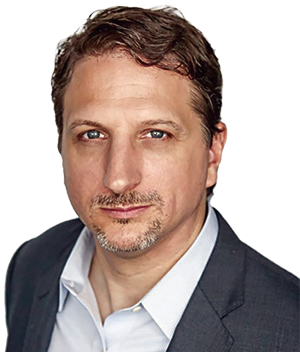 Prior to co–founding Firefly, Tom served in a variety of technical and leadership roles in new-space companies: Vice President of Propulsion at Virgin Galactic, Senior Systems Engineer at Blue Origin, Director of the Texas Test Site and Principal Propulsion Engineer at SpaceX. Prior to his new–space work, Tom was a civil servant at NASA and the USAF, where he worked as research scientist and propulsion engineer. He holds a Ph.D. in Mechanical and Aerospace Engineering from Princeton University.